“We do not stock or supply parts for, or service or work on any vehicles other than those we sell!” Please call if you have any questions. See this Subaru in our Featured Mini Truck Gallery. It’s a 2012 Subaru Trail Wagon with a 650cc v twin engine. Its automatic, 4×4, has high and low range, tilting/pivoting windshield and a dump bed. One owner and garage kept.. These little trucks are about the handiest thing you’ll ever run across. They can keep you warm and dry in the winter while you are checking on or feeding your cattle. They are also strong enough to carry feed, hay, fencing, or whatever your job requires. They are also great for using around the house hauling leaves, branches, rocks and dirt. When hunting season comes around, they are invaluable for putting up stands, checking food plots, filling feeders, getting to and from your stands and hauling out your game. Some other uses are: Educational campuses, golf course maintenance, parks and zoo upkeep, camp ground and marina transportation, manufacturing and maintenance facility transportation, all aspects of farming and ranching, and all outdoor recreational activities such as hunting, fishing, boating, hiking and exploring. 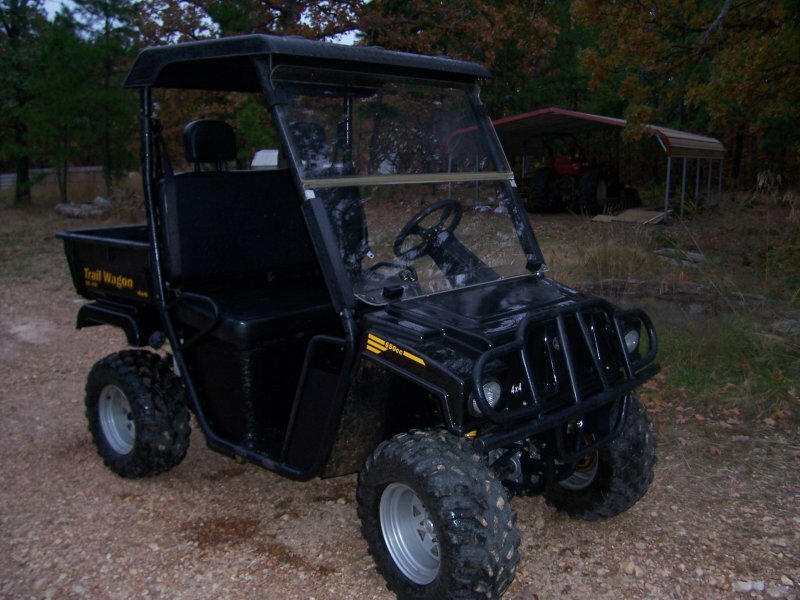 Why spend twice as much on an ATV when you can get more for the money? When you consider the price of a Gator, Rhino, Mule or Ranger, typically being in excess of $10,000, the mini truck is an easy choice. They cost less, can haul more, are fully enclosed, and keep you warm, dry and out of the dust as opposed to other vehicles. Also considering the price of gas today, you’ll be happy to know these mini trucks average 40+ miles per gallon. Ranches & Farms – Livestock Hunting & fishing leases Nurseries & Orchards Construction Sites. These miniature trucks can be used a wide variety of setting. 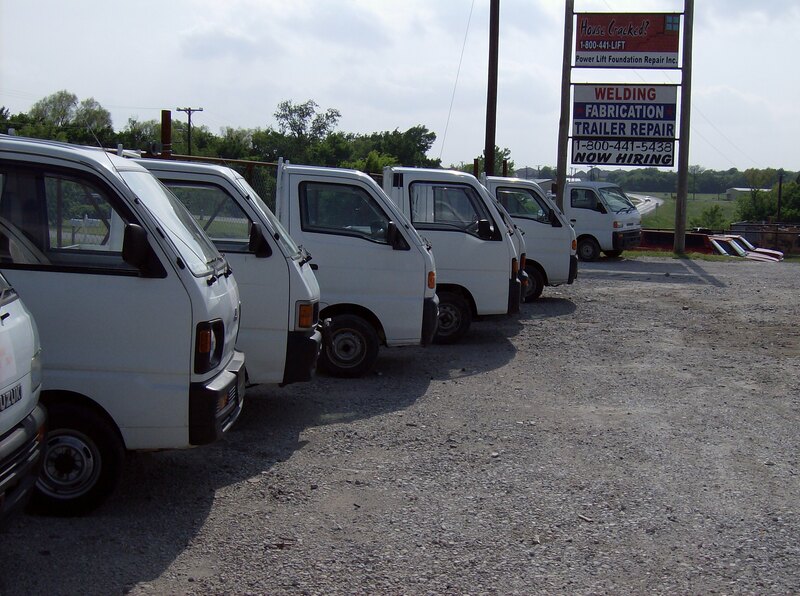 Mini-trucks include the Daihatsu Hijet, Honda Acty, Mazda Scrum, Mitsubishi Minicab and Subaru Sambar. Other than their size, the vehicles have all the features and amenities of other vehicles, including 4-wheel drive, headlights, blinkers, wipers, seatbelts, heat and air conditioning, mirrors, radio and steel frame construction. The truck flatbed may measure about 6-feet by 4-feet, with the capacity to carry as much as 880 pounds. There are a lot of reasons to buy and use a mini truck from Japan. They are inexpensive to buy and get great fuel mileage. They’re tough and can do just about anything a full size truck can do. If you need to save on fuel, then driving a full size truck around your ranch, farm or construction site is not the way to do it. These mini trucks can get the job done just as well, at a fraction of the cost. There are several advantages of the mini trucks, and the most obvious is their size. The compact size of these vehicles allows them to go almost anywhere. 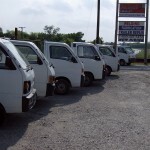 The second biggest advantage of these vehicles is that they have a low cost of ownership. Mini trucks have many different uses like farm utility vehicles, off-road hunting vehicles, maintenance vehicles for schools, university campuses, golf courses, large factories, shipping yards, warehouse facilities, large ranches or dairies, horse stables, theme parks, camp grounds, airports, orchards, landscaping companies, nurseries, local municipalities, security companies, movie sets, cemeteries, the uses for these trucks are only limited to your imagination.